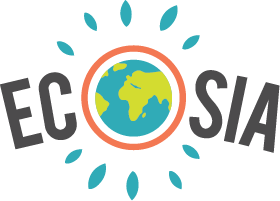 Ecosia is a B Corporation - what does this mean? Can I volunteer at one of Ecosia's reforestation projects? Can I do an internship at Ecosia? Ecosia was founded by Christian Kroll, Ecosia's CEO, in December 2009. Christian studied business administration in Nuremberg and decided to travel the world for some inspiration on a business model with a positive social impact. He visited India and Thailand and finally decided to stay in Nepal for a while to establish “Xabbel”, a local search engine that was supposed to help generate funds for local NGO projects. With an average of only four hours of electricity per day, Christian soon had to abandon "Xabbel", but the idea for a search engine with a positive impact stayed with him. Christian carried on traveling and set up camp in Argentina for a few months. He learnt a lot about reforestation projects in the Atlantic Rainforest in Argentina and Brazil and also read Thomas L. Friedman’s book “Hot, Flat and Crowded”. It taught him a lot about the connection between globalization and climate change and how planting new trees could actually neutralize CO2 emissions on a big scale. This is when Christian realized he wanted to engage in forest preservation to help the environment. He came up with the idea of a search engine that helped finance planting and restoration projects. In late 2009, the idea for Ecosia.org was born and the tree planting search engine launched in December of that year. It is a Berlin-based social business owned by Christian Kroll and Tim Schumacher. To learn more about the folks behind the scenes, click here.